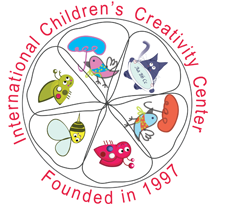 ICCC was founded in 1997 by mothers from the international community. Since then it remains Sofia’s premier international preschool. 1. Our status of a non-profit, run by a professional Director and a volunteer Board of Parents. 2. Enthusiastic and highly qualified teachers who have earned university degrees in preschool education and have lived abroad in English-speaking countries. They care deeply about their job and the children in their care. 3. 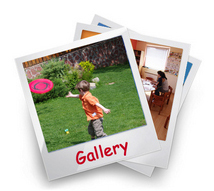 A daily schedule that balances play with learning, arts, music and physical education. 4. Specialized UK- and US-based programs that teach positive interpersonal and communication skills, pre-reading and math skills. 5. A wide variety of seasonal activities such as ski school, green school, tennis and football lessons, in addition to our regular twice-weekly karate and dance lessons. 6. The international mix of children that provides a rich cultural environment and helps ensure the use of English as a common language. Annual parent survey June 2017: What do you like best about ICCC? ”I wanted to let you know how happy we are of having our son in ICCC. Over this year we noticed the great progress that our kid is making in terms of behavior and education, and how much he loves to go and join you guys every day. Also, the teachers are simply outstanding, and a true example of professionalism in the child care and education industry. I have rarely seen such a group of highly dedicated individuals, with such an amazing skillset and love for their children. ”You have shown so much love to our family and made our girls feel at home straight away. Every teacher is so patient and kind and cares deeply for the children they teach. Our girls have grown tremendously emotionally, physically, socially, and academically thanks to your hard work… ” (see full comment).